Very Long Bakelite Beaded Necklace. 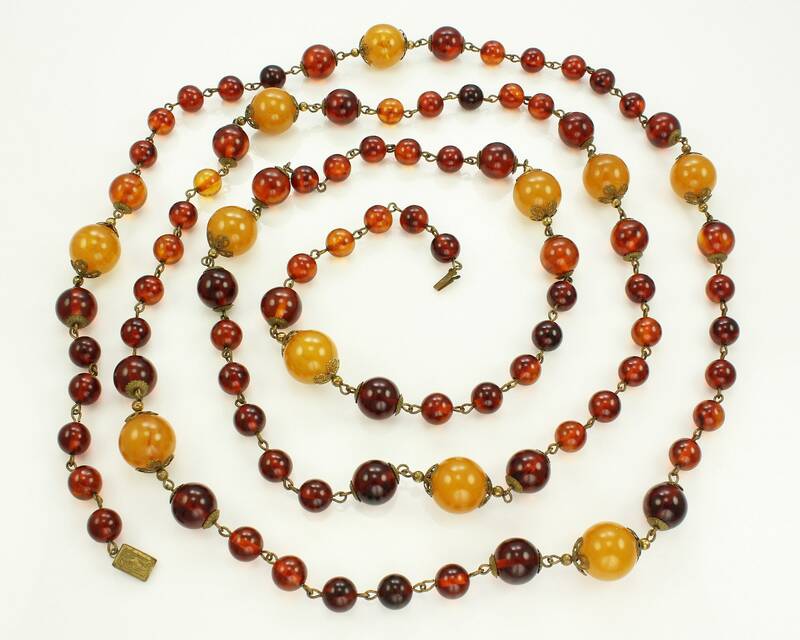 This art deco beaded necklace dates from the thirties and features bakelite beads with brass bead caps and box catch. The butterscotch bakelite beads are approximately 15.2 mm in diameter. 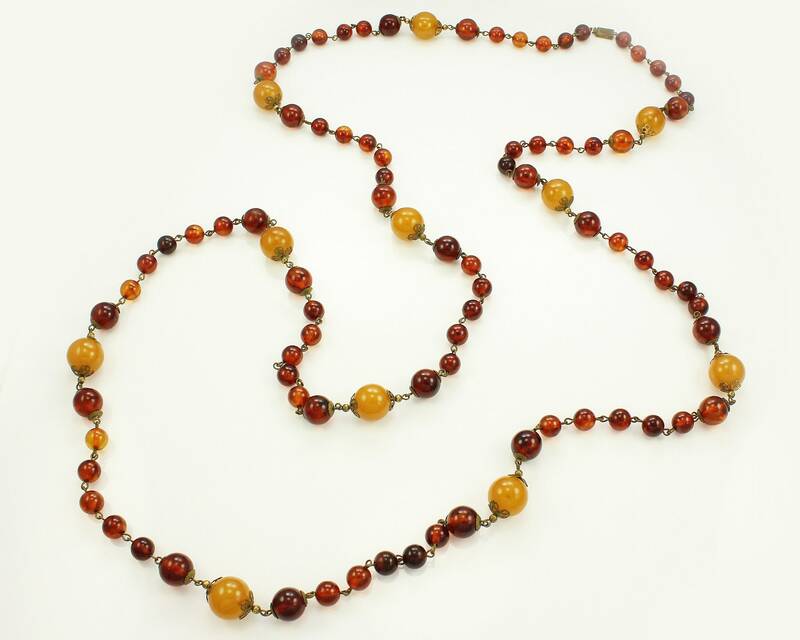 They are accented by transparent root beer beads in two sizes: 12 mm and 9 mm in diameter.All beads are connected by brass loops. The beads have been tested as bakelite with simichrome. Condition: Very Good vintage condition, with no damage noted.